Tucked in the garden or placed with other seating, this Bench will adapt itself to whatever outdoor occasion you can imagine. 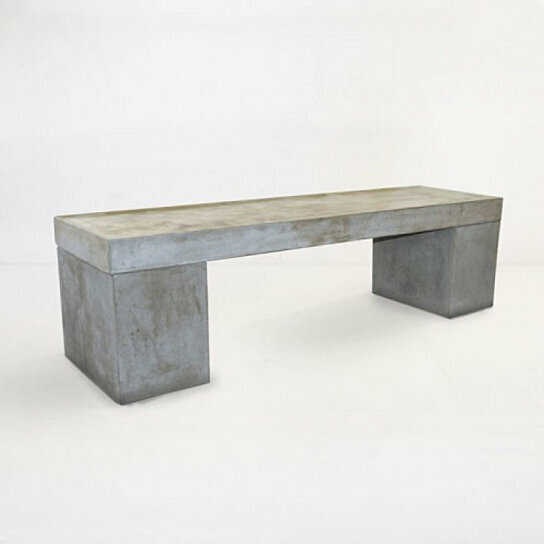 The bench is Made with a high quality concrete and fiber mix (Fiber reinforced Concrete) that gives it cool, modern look you want, keeping it light and movable. Further the bench is sealed with an acrylic finish to prevent staining or discoloration. Add this bench to your outdoor garden or place it in your foyer or entryway as a spot to pull on sneakers. The bench features an acrylic sealed finish to prevent stains and discoloration. It is made from high quality concrete and fiber mix (Fiber-reinforced Concrete) that makes it light weight and movable. The bench is perfect for both indoors as well as outdoors.